Here you will find some of the coolest jazz and swing groups to be found. 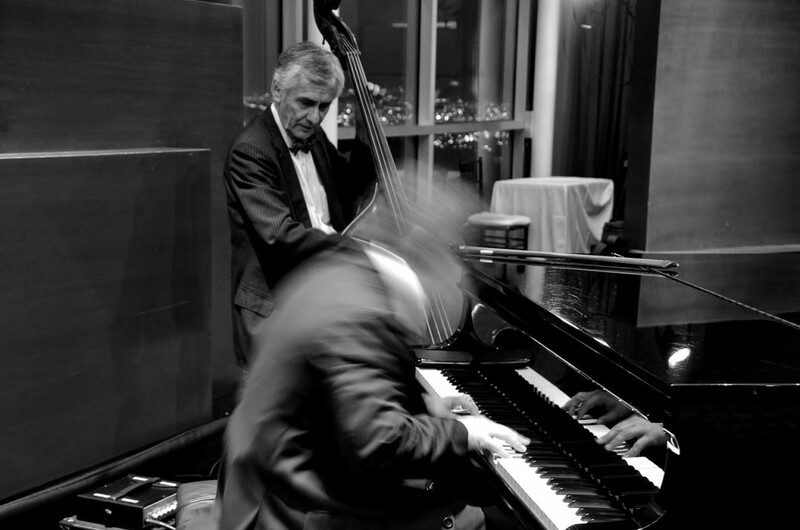 Joe Verrusio, the president of Entertainment Consultants has been a jazz musician since 1980. In that time he has worked with and hired many of the finest jazz and swing musicians in the area. His membership in N.A.R.A.S. (National Academy of Recording Arts and Sciences), will ensure that the jazz musicians you hire are the very best in jazz music. The small groups featured below are excellent for cocktail parties and quiet dinner parties. They provide music which will not overpower intimate conversation. Contact us for availability and other small jazz group options. We can also suggest our jazz groups as a wedding band for the reception. Some of our engaged couples choose jazz musicians for their wedding, when they want that society band sound. There is also the option of a jazz band and dj combination for the wedding reception. The dj plays the cds and the jazz band provides that full, elegant sound that one can only get from live musicians. Our YouTube Channel has the latest videos of our jazz musicians and jazz bands. We update our YouTube Channel on a weekly basis. There you will see jazz duos, jazz trios and jazz quartets; you will also find our Reggae groups. Once you arrive at playlists, go to Strictly Jazz. These jazz music videos are uploaded frequently. You may also choose to visit our Facebook Page, we post the latest videos of our jazz musicians there also. Entertainment Consultants takes pride on the high quality that Jazz music we provide to our customers. Our service and commitment to our clients is second to none. We know you have a budget; we are here to help you choose quality jazz music while staying on that budget.